Scott Pruitt may be out of the EPA, but that doesn’t mean his troubles are over. There is no estimated completion date yet for the IG’s investigation into whether EPA is properly preserving text messages and emails that may have been sent to Pruitt’s non-public accounts, as well as its responsiveness to public records requests, according to Lagda. The IG also cannot compel Pruitt, as a former federal employee, to meet with them. Other investigations continue as well. The U.S. Office of Special Counsel is looking into allegations Pruitt retaliated against employees who questioned his spending and management habits. 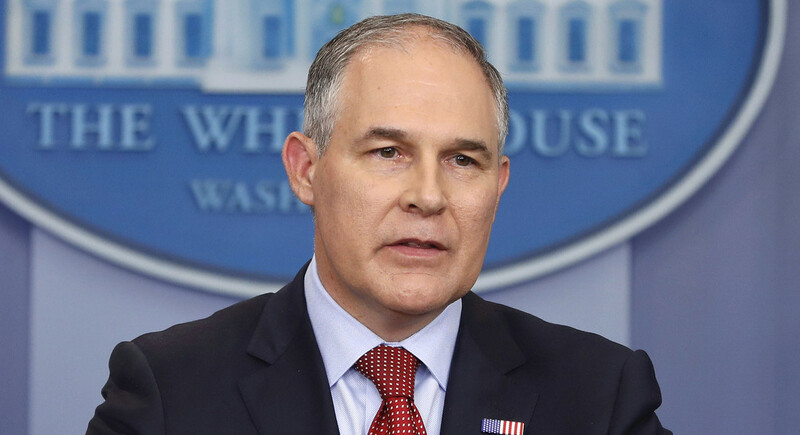 And the Washington Post reported on Thursday that the White House Office of Management and Budget has determined the $ 43,000 private phone booth Pruitt installed in his office violated the law. The Government Accountability Office has previously said the purchase was illegal. Pruitt’s resignation came as House Oversight Committee Democrats released new transcripts from interviews with some of the former administrator’s closest aides that confirmed aspects of many of the recent allegations against him. Three aides, including chief of staff Ryan Jackson, acknowledged removing many meetings from his calendars they deemed “personal” and that could have have politically controversial, including retroactively removing a reference to a dinner with Cardinal George Pell after Pell’s arrest on sexual abuse charges. Another former aide, policy adviser Samantha Dravis, said she helped Pruitt’s wife, Marlyn, seek employment opportunities during work hours by tapping into her connections to conservative organizations. But she said Pruitt’s push for his wife to land a $ 250,000 a year post given her limited work experience was too much — even for staunch Pruitt supporters like the Federalist Society. Dravis said she ultimately refused to contact certain organizations and expressed concern doing would violate the Hatch Act.